Welcome to Waynes World Of Real Estate - A career that began in 1987. To be successful in this industry, a Realtor must provide all his clients with all the tools available to arrive at an educated and informed decision when purchasing and/or selling a home. I focus my expertise on Residential Properties, Condos, Investments, located in Alliston, Tottenham, Beeton, Barrie, Cookstown and pretty much all of Simcoe County and Dufferin County. 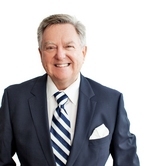 Working full time and offering full service to my clients, and as a result I have achieved many awards over the years along with the Chairmans Circle Gold Award and have been in the top 2% in North America for 8 consecutive years. I am a Broker committed to helping you realize your Real Estate Goals. Presently with Coldwell Banker Realty, and achieving a top standard of being in the top 1% Teams for Canada. Disclaimer By entering my contact information I give my express consent to be contacted by 'Wayne McGilvray, Coldwell Banker Ronan Realty, Brokerage*' and or real estate salespeople on behalf of 'Coldwell Banker Ronan Realty, Brokerage*' to discuss potential services.